NEW JERSEY—at last! • Georgia too! • MICHIGAN • MASSACHUSETTS & more soon! Click here for the "Traveler's Guide"
"The Arizona Gun Owner's Guide" 26th Ed. If you want to know what you can and cannot do with guns in Arizona, this is the book to own. "Florida Firearms Law, Use & Ownership" 7th Ed. Very detailed 300-page guide from a Florida attorney. The last state in the union to get carry permits now has a gun-owner's guide. "Indiana Firearms Law Reference Manual"
Back in print as a 3rd edition, very detailed and carefully indexed by this Indiana attorney. "Everything You Need to Know About (Legally) Carrying a Handgun in Kansas"
Latest edition of the well-organized guide produced by a Boston-area attorney. "A Common Sense Guide to Michigan Gun Laws"
A husband-and-wife law team have created this 3rd edition of their book for Michigan gun owners. Minnesotans now have a gun-owner's guide to replace the one that went out of print. "Missouri Weapons and Self-Defense Law"
A very detailed guide to weapons and self defense by a top lawyer in the state; see the other choice for Missouri, below. "Everything You Need To Know About Legally Carrying a Handgun in Missouri"
Missouri residents can choose from two gun owner guides -- this one is a bit easier reading, and the one above is more complete, get both for best results. The state's leading activist has created a guide for one of the freest states in the Union. "Guidelines for Carrying Concealed Firearms in Nevada"
Nicely done by a Las Vegas range owner for gun laws for Nevada. 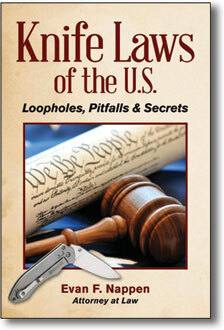 Comprehensive guide to the gun, knife and weapon laws for the "Live Free or Die" state. "New Jersey Gun Law Guide "
Two attorneys describe the laws for New Jersey in tremendous detail (404 pages, 8-1/2 x 11 inch size) and FAQ format, with an appendix that covers state and federal statutes. A handy concise booklet with the main New Mexico gun laws, and a description of key federal gun laws too. "New York's Firearms and Weapons Laws"
A 300-page looseleaf by a law-publishing firm, crammed with detail; update service available. "Firearms Law of North Carolina"
Detailed and clear descriptions of the laws and cases for the state's residents, by a lawyer who knows firearms. Second edition. "Gun Owner's Smart Book -- North and South Dakota"
Two states covered in a single book, with the gun laws summarized and explained. "The Ohio Guide to Firearm Laws"
A beautifully done 2nd Edition, with statutes and plain English descriptions, including the new concealed carry laws. "The Handbook of Ohio Firearms Law"
Ohioans now have a second plain-English gun-law guide, well done, both are worthwhile for Buckeyes. "Oklahoma Gun Law Armed and Educated"
Oklahoma has a guide to its gun laws at last, produced by Texas Law Shield. has created a guide for the state's gun owners. "The Eagle and the Skunk, New Jersey and Pennsylvania Gun Laws Compared"
Two attorneys describe the laws for Pennsylvania and New Jersey in a single volume, and then they compare them, in a stunning look at rights and repression separated by a mere river. Good reading no matter where you live. Two states for one price! Two lawyers and a police sergeant bring a clear gun-law guide to the Palmetto State. 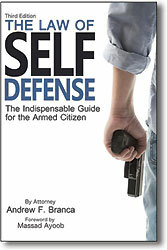 The book everyone uses--ideal for CHL training and all gun owners in Texas. In print since the carry law passed in 1995. Attorney Harris, the head of the Tennessee Firearms Association, Inc., has created this valuable guide. "Utah Gun Law with 'Plain Talk' Summaries"
More than 300 pages of compiled statutes, with "plain talk" descriptions and commentaries. "Gun Owner's Guide to the Laws of Vermont "
Vermont—People speak in awe of “Vermont carry” because it is basically uninfringed, their gun laws make sense, and crime is very low. See what the best gun laws in America look like, use them as a model for your own. Attorney Cindy Hill has done us all a service, illuminating Vermont’s approach. "The Virginia Gun Owner's Guide"
If you want to know what you can and can't do with guns in Virginia, this is the book to own. "Washington State Gun Rights and Responsibilities"
This well-known booklet is now available again, updated and expanded. The 49th state to get carry permits now has a gun-owner's guide. Help us obtain a book for every state!